Murad is one of the world's leading clinical skincare brands and if you've been following Sprinkles of Style for a while, you'll know that I love the brand as their skincare products have completely changed the way my skin looks and feels. 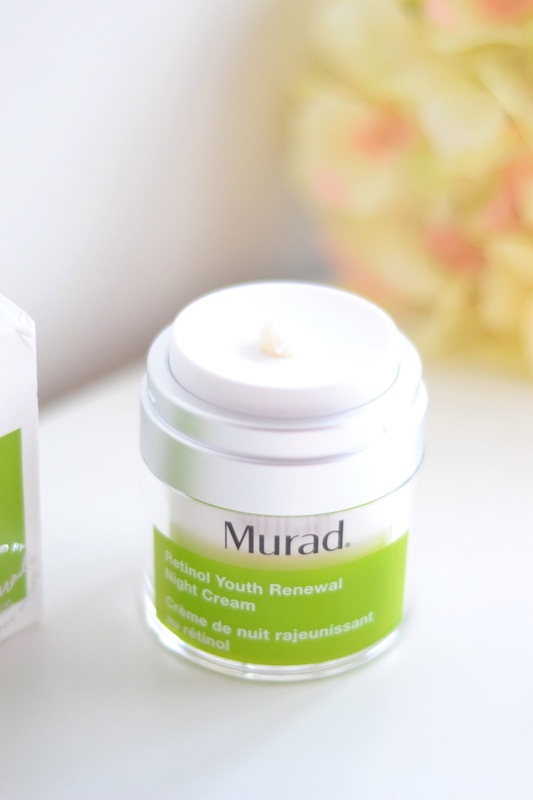 I'll be writing a full skincare post soon which will benefit those who suffer with breakouts however, in the meantime - I'm really excited to be featuring two key products from the Murad Retinol Youth Renewal Range and below, you can see all the details. Murad has perfected the science of Retinol with a breakthrough skincare technology which is powered by an exclusive Retinol Tri-Active Technology. This is a fast-acting Retinoid, time-released Retinol and a Retinol Booster which when combined, minimise the appearance of fine lines, helping to firm and even skin tone. When I test skincare products, I'll use them for a few weeks to really see the results and then I'll adapt and use them accordingly depending on how my skin looks and feels. 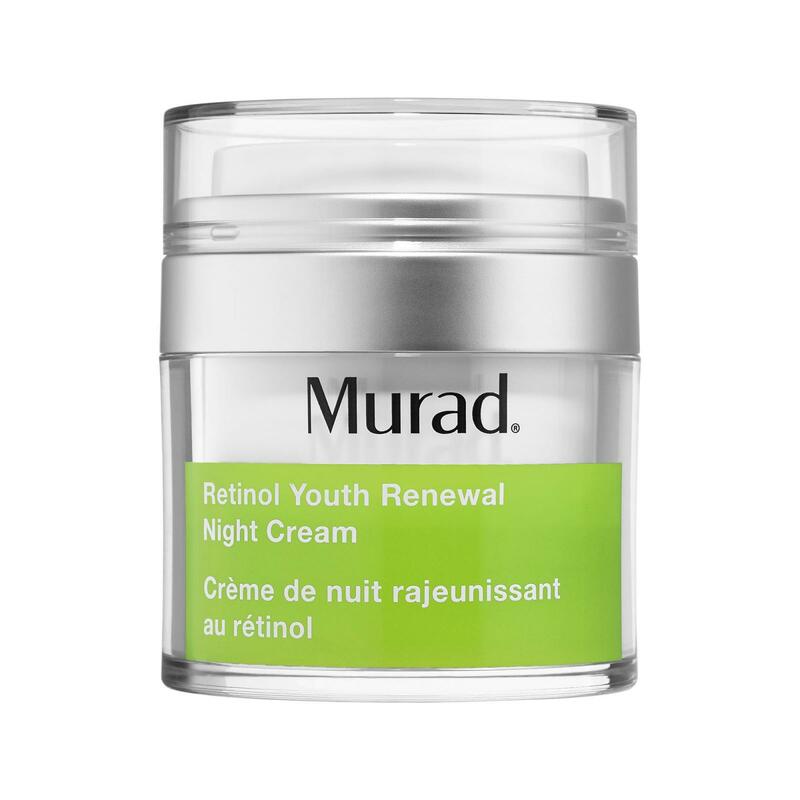 As with all Murad Skincare products, I've been extremely impressed and the same goes for the Retinol Youth Renewal Night Cream - I didn't expect to like this as much as I do. It's an extremely luxurious night cream however it's not heavy, melting onto skin as you apply it - being absorbed in around 5-10 minutes. Almost instantly, skin feels super-soft and plump and in the morning, skin looks healthy, radiant and glowing! Powered with the Retinol Tri-Active Technology, this works on your skin as you sleep and also contains a wonderful peptide-rich, Red Algae Extract which overall, improves skins elasticity. One thing that I love about this night cream is the fact it's airless! My skincare routine all depends on how my skin looks and feels, I tend to change up a few products here and there however, this is how I would recommend using the Murad Retinol Youth Renewal Night Cream. Cleanse skin using your favourite cleanser, my all-time favourite is the Murad AHA/BHA Exfoliating Cleanser - this completely changed the way my skin looks and feels. In the summer months, I'll also use Micellaire waters in the morning to refresh my skin or a daily cleansing foam. Again, depending on how your skin looks and feels, you can choose if you want to use an exfoliator or mask in your skincare routine but always follow it up with a soothing toner - this removes any last traces of cleanser and/or makeup and helps prepare your skin to absorb moisturiser / night cream much more. In the evening or whenever I feel like my skin needs a boost, I'll use the Murad Retinol Youth Renewal Night Cream - all you need is one pump of product and this is enough for your face and neck, well - it is for me anyway. I'll apply the product to the palm of my hands and 'warm up' the product slightly before massaging it onto skin - letting it absorb. This is another product that I didn't expect I would enjoy using as much - I've used eye creams on and off however this is very much a part of my evening skincare routine. I'll use this 2-3 times a week, not daily as I feel that's enough for me however, as with all skincare products - you can adapt things to suit your skin. I'll apply this after cleansing/exfoliating, toning and moisturising my skin and a little goes a long way, just like the night cream. Again, this is an airless applicator - one pump of product is more than enough for both eyes. Normally, there's product left over so I'll apply excess onto skin. I apply the Murad Retinol Youth Renewal Eye Serum using my ring finger and I just dot it on my under eye area, massaging the outer corner of the eye and also applying a little bit onto the arch or brow and over the lid. It's lightweight however one thing to note - this does feel tacky to begin with however you'll feel it being absorbed by your skin and within 10 minutes, skin should feel soft and smooth. Both Retinol Youth Renewal products are delicately fragranced - it's a fresh almost floral scent which is really lovely. 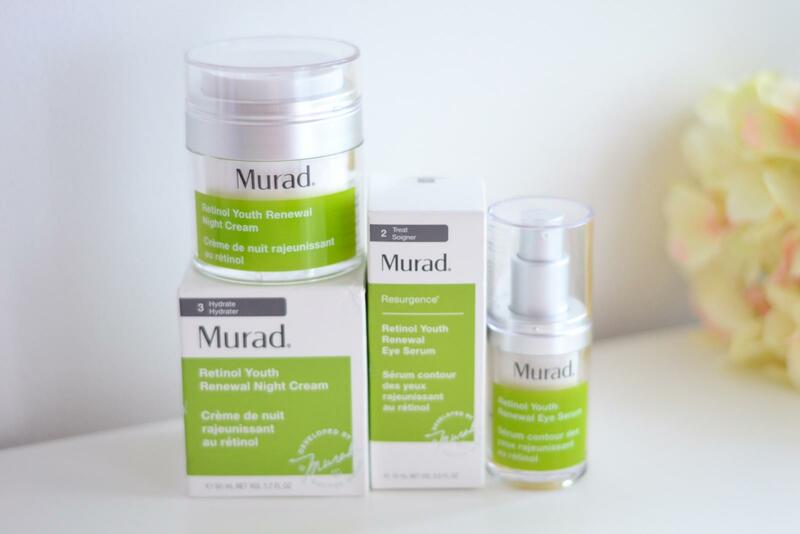 Does The Murad Retinol Youth Renewal Range Work On All Skin? The range works on all skin types - normal, oily, combination and dry! I know that a lot of you lovely readers are also big fans of Murad so I can't wait to read all your comments. Let me know what you think of the Retinol Youth range and the products - are they something that you would add to your skincare routine? Do they sound like something you'd like to use? Previous Post Beauty Blender Launch Foundation – And People Aren’t Happy!